The work of effective nature conservation work is largely dependent on a great cause, superb supporters, highly skilled team members and professional equipment. We are continuously upgrading our equipment so that our team can work efficiently and professionally on their assignments. We equipped the team with outdoor clothing and gear from Mammut, Garmont, Patagonia, Jack Wolfskin and Pinewood Clothing. Due to a generous donor we were now able to upgrade all our office equipment and software to the latest technology. Working in a distributed office environment, we are now using the professional version of Dropbox, the Adobe Suite of products and Microsoft Office 2016. 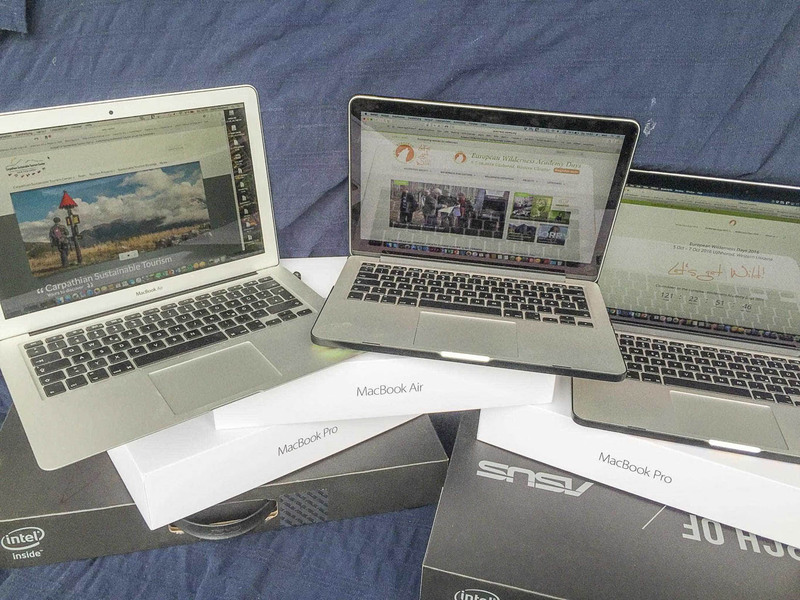 Since we are also most of time on assignments we now have the latest Apple MacBook Pros, iMacs and MacBook Airs plus new Assus Laptops for our Ukrainian office. In addition we now have full color laser printers to allow us to print our correspondence professionally regardless where we are. We thank our supporters for this generous donation. Over 500 000 visitors to our website!